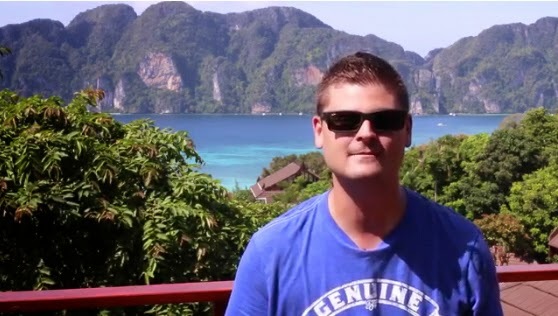 On his 30th birthday, (December 18, 2014), Chris Dunn, the founder of Bitcoin Wealth Alliance, shared a really interesting video revealing his top 30 lessons he has learned over the past 30 years. Whether you want to be a successful trader like him, or you just want to succeed in whatever you're doing right now, you can consider Chris' life lessons here. Chris says that he sees so many people trapped in the rat race chasing money to buy things like luxury cars, mansions, etc. To be honest, those kind of things are empty. Yes, it's great to have a nice house and car, but at the end of the day most people will not be happy after spending their time and effort just chasing material things like that. Why? Because people tend to get bored with stuff 30 to 90 days. If you spend your time and energy chasing experiences like what Chris and his wife are doing, those memories will stay with you forever. In addition, you will learn so much from those experiences so that you will be a better person. You're going to make mistakes but it's better to make mistakes while you take action than to not do something and then have the regret of not taking action later. If you make mistakes, just allow yourself to forgive yourself and others because it's not worth carrying around that weight. At first, Chris didn't believe that he could make $1,000,000 a year. It took him a couple of weeks to reprogram his mind to make himself believe that that could happen. Then within a span of about 18 months, Chris started earning $1,000,000 in his early 20s. Therefore, don't be afraid to set a goal that sounds impossible to you at first. Just put all of your energy and focus to make that happen because you will surprise yourself of what you can actually do. There's so much out there in the world, such as so many different cultures, cool people, and things to learn, and also experiences you can never get if you just stay in your little comfortable bubble. Whenever you achieve big things, it can be easy sometimes to get lazy. So, always look for the next step. It doesn't mean that you'll always be chasing something. You certainly need to take time to chill and relax, but at the same time always stay humble. Especially if you make a lot of money or accomplish something really big, if you become lazy, it's like taking one step forward and two steps back. There's an infinite amount of stuff to learn in the world. It will be much more interesting if you spend your time constantly learning something new like a new skill, new culture, new language, etc. Comparing yourself to others will only depress you and it's so pointless. The only thing that matters is where you are right now and where you want to get to. It doesn't matter if somebody else is ahead of you, making more money than you, more successful than you, or making less money that you, or less successful than you, the only thing that matters is where you are right now and what your end goal is. You can look up to people and to model what certain people are doing but never look at somebody and say, “Oh, that guy / lady has this and I'll never be able to get that.”, etc. 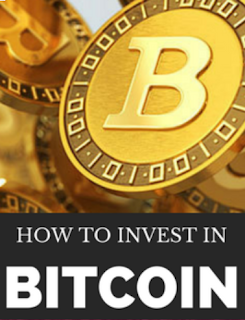 To learn how to make money with bitcoins just like Chris Dunn, you can join Bitcoin Wealth Alliance here.